Daryl Johnson (Worcester Park, United Kingdom) on 28 July 2016 in Miscellaneous. They seem being in the middle of nowhere Daryl! @Richard Standley: They are part of a smaller flower garden Richard (see tomorrow). Ah, yes, I remember the remote location of these. 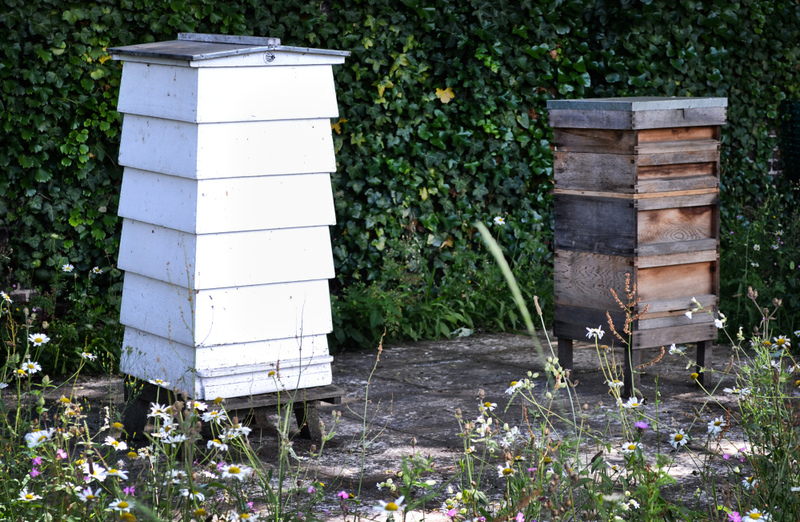 Des ruches pour les abeilles ? @Lai Chan See: Indeed LCS! Enjoy the bees, the chemical companies are killing them off over here.